Cupertino, Calif. (January 19, 2012) – Ducati North America today announced 2011 motorcycle sales growth of 43 percent compared to 2010 and a record market share in all of its territories: US, Canada and Mexico. This result established North America as Ducati’s number one market for the first time ever. Ducati Performance line of apparel and accessories also recorded significant growth with a 50 percent annual increase. 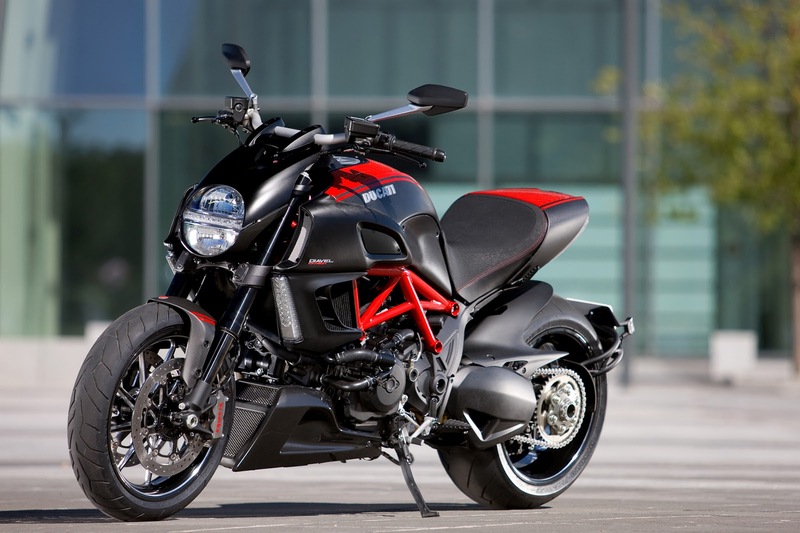 Ducati’s growth was fueled by an expanding product line-up, including the award-winning Diavel and Multistrada. Voted “Best Cruiser of 2011” by several motorcycle magazines, the Diavel accomplishes its goal of capturing and attracting new customers to the brand. The Multistrada, voted “Best Open Street Bike” by Cycle World for the second year in a row, continues to prove its adventure touring capabilities with the successful completion of the historical La Carrera Panamericana race in Mexico along with its second win of the Pikes Peak International Hill Climb. In 2012, Ducati will refocus its efforts in the sportbike category with the first customer deliveries of the brand’s newest flagship Superbike, the Ducati 1199 Panigale and the 848EVO Corse Special Edition. New additions to the Ducati line-up also include the Diavel AMG, the recently announced Diavel Cromo, as well as the highly anticipatedStreetfighter 848. Ducati North America also announced the launch of a new retail identity initiative aimed at enhancing the Ducati customer experience. For more information about Ducati North America and Ducati’s line of performance motorcycles, please visit www.ducatiusa.com or your local Ducati dealer.